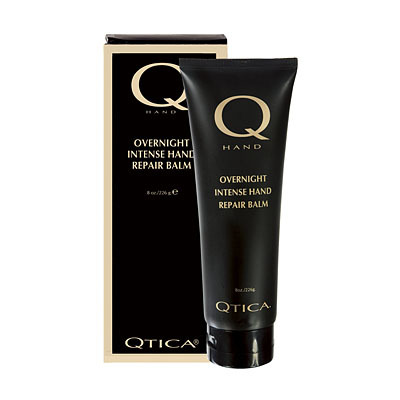 Hands look and feel younger and smoother with QTICA Overnight Intense Repair Balm. The rich, thick balm soothes severely dry, irritated and cracked hands with an intense formula of honey, beeswax, essential oil and vitamins A, C, and E. Anti-aging Retinol Palmitate softens fine lines and speeds cellular renewal so hands never betray age. Used by outdoor athletes and those with extremely thin, sensitive skin to replenish moisture lost during daily activities while preventing further damage. 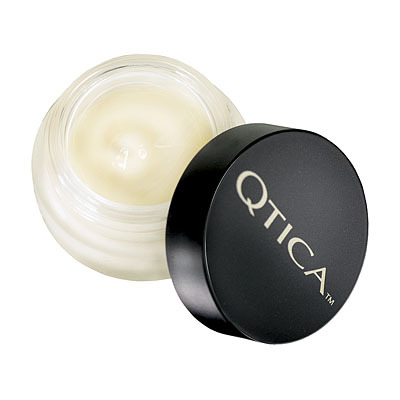 Professional use: Apply a small amount to the hands as an instant smoother. Can be used with heat and paraffin for a more deeply penetrating therapy. Home use: Apply a pea-sized amount to each hand and massage until absorbed. For best results use daily. This stuff WORKS. After buying this and the lip repair, I`ve stopped using all of my other shea butter and "intense restorative" hand and lip treatments. It does smell a little like lanolin, but it`s subtle. It soaks in quickly and doesn`t budge. At night, I put on a thick coat and wear cotton gloves and this has saved my dry, cracked hands. I`m a healthcare provider in a very dry climate and I used to cringe every time I washed my hands during the day because my skin would get dry, flaky, itchy and start cracking over my knuckles; now I can finally keep my skin in good shape in spite of the constant washing. Because it`s so thick and soaks in so quickly, I find I don`t go through it as fast as I did my other lotions so it`s proving itself to be more cost-effective, which is a bonus. 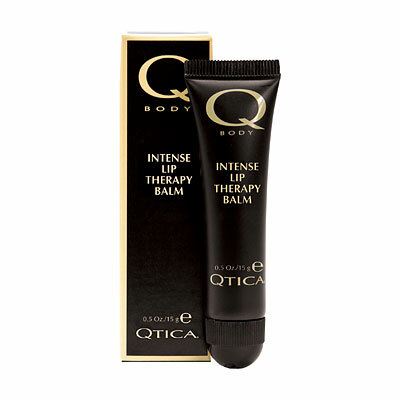 Qtica has definitely earned my loyalty. My husband is a mechanic so his hands are always a disaster. I bought this at a trade show in Chicago with the hope that it would fix his hands. I have to say that this product did what no other lotion could do for the past 5 years. This product really saved his hands and made his hands that much more pleasant to hold. My only complaint is that because it is so thick, you can only use it at night. I wish he could use it during the day too.